Canine distemper is a virus that affects a dog’s respiratory, gastrointestinal and central nervous systems, as well as the conjunctival membranes of the eye. The first signs of canine distemper include sneezing, coughing and thick mucus coming from the eyes and nose. Fever, lethargy, sudden vomiting and diarrhoea, depression and/or loss of appetite are also symptoms of the virus. 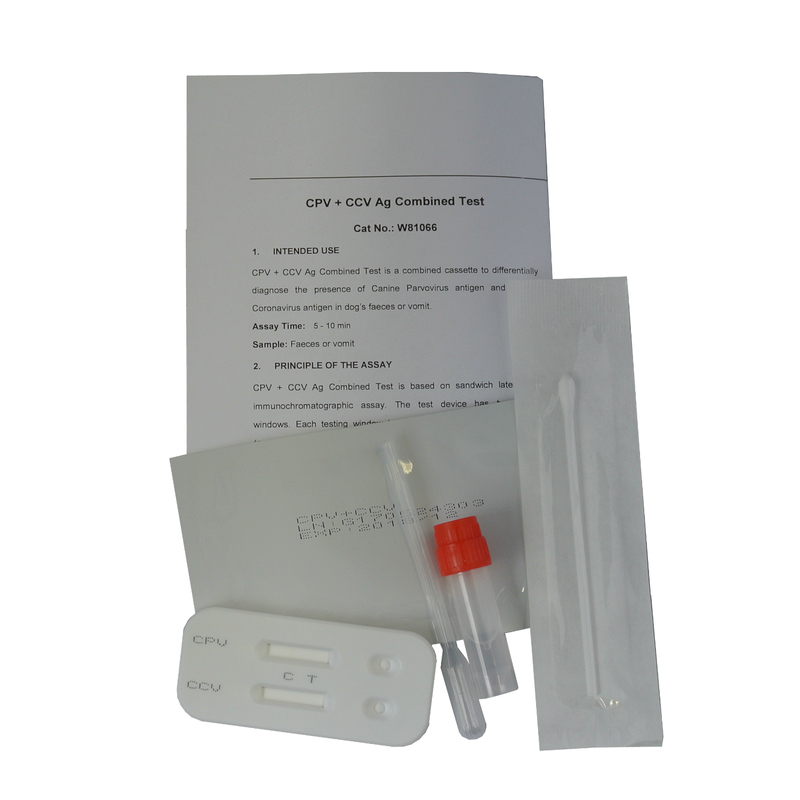 Whilst there is currently no available medication that can destroy the virus that causes canine distemper, the virus spreads rapidly and must be aggressively treated as soon as it is discovered. Vets can offer intravenous fluids to prevent dehydration and antibiotics to ward off secondary infections while the infected dog builds up his immune response. Some dogs are able to survive the infection, while for others canine distemper can be fatal so early diagnosis and treatment is essential. 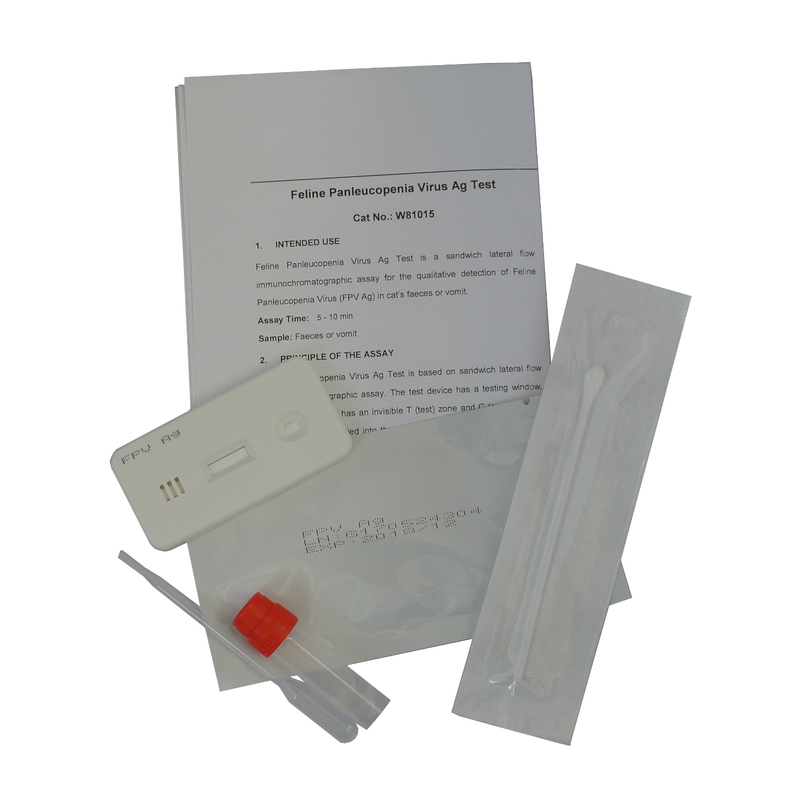 It is very simple – just use the enclosed cotton swab to obtain a nasal sample, mix it with the test solution and then add 3 drops to the test cassette. You will then be able to read the results after 5 minutes. A positive or negative result is indicated by 2 or only 1 line in the test window respectively. You must see your Vet immediately so that he/she can start treatment ASAP.